Internationally, the case of early modern Sweden is noteworthy because the state building process transformed a locally dispersed and sparsely populated area into a strongly centralized absolute monarchy and European empire at the beginning of the 17th century. This anthology provides fresh insights into the state-building process in Sweden. 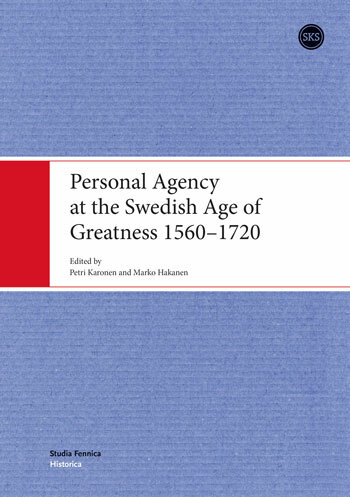 During this transitional period, many far-reaching administrative reforms were carried out, and the Swedish state developed into a prime example of the early modern ‘powerstate’. The contributors approach Sweden’s rise to greatness from the point of view of personal agency. In early modern studies, agency has long remained in the shadow of the study of structures and institutions. This novel approach enables us to expose the difficulties, setbacks and false steps that the administration had to deal with. State building was a more diversified and personalized process than has previously been assumed. Numerous individuals were also crucially important actors in the process, and that development itself was not straightforward progression at the macro-level but was intertwined with lower-level actors. Each chapter in this volume employs partially different methods depending on the source material and subject. This means that both qualitative and quantitative material is combined, different ways of making sense of it (i.e. research traditions) are brought together and a multi-method design is used in analyzing source material. One of the central methods is the systematic use of previous biographical research. We want to give the individuals and their actions under discussion a background that reflects the contemporary structures of individual life cycles. With the existing biographical research, it is possible to create a comprehensive set of data that provides the general outlines of individual lives or the career tracks of various estates or social groups, and even to construct collective biographies of certain groups.